Happy New Year! Welcome to 2014, a year that is sure to bring many new twists and turns to the Affordable Care Act. Most people agree that the rollout of ObamaCare (starting October 1, 2013) was flawed. But it is a new year so let’s reflect on ObamaCare in 2013 and anticipate ObamaCare in 2014. The Affordable Care Act (ACA) was signed into law on March 23, 2010 and it still remains the law (although some people think it is has been repealed). During the writing of the law and the constitutionality hearings regarding the law, some things got messy. For example, some states opted out of expanding Medicaid and states had the option to run their own “Health Insurance Exchanges” or let the federal government take control of the insurance enrollment process. Sometime in 2010, Republicans started calling the ACA ObamaCare with a negative connotation. Flash forward to 2012, Obama embraced the the term and the ACA is now called ObamaCare. I just wanted to clear that up. Affordable Care Act = ACA = ObamaCare. 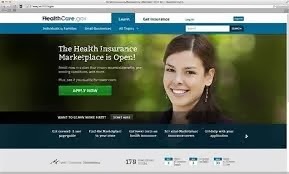 October 1, the “Health Insurance Exchanges” opened and the previously uninsured started shopping for an insurance policy. Or that was the plan. In reality, major technology glitches for the federally run insurance exchanges and most state run insurance exchanges prevented people from signing up for insurance. The start of coverage for people who signed up for ObamaCare. For those individuals (nearly 2 million) who signed up for insurance and paid their first premium between October 1 and December 24, coverage started on January 1, 2014. For those individuals who live in states that expanded Medicaid, coverage also started January 1. Coverage for people with pre-existing conditions. Starting in 2014, insurance companies cannot deny coverage for individuals with preexisting conditions. The individual mandate. The individual mandate is the part of the law that requires individuals get health insurance or pay a fine. In 2014 the fine for not being insured is $95 or 1% of income, whichever amount is higher. The fine will raise each year. The White House has issued several hardship exemptions for those who insurance is deemed too expensive or who experience unique situations. A huge group of people who will fall into this category are those in the states that did not expand Medicaid. In those states, people ‘make too much money’ to qualify for Medicaid but not enough money to qualify for tax credits to purchase insurance on the insurance exchange marketplace, can file a hardship exemption. Minimum insurance benefits. From now on, insurance policies have to cover preventative services and other health services defined in the law. Which is why some insurance policies were cancelled. A functioning website. Marketplace.gov as well as the insurance exchanges the state-run exchanges seem to be working. But, hey, anything could happen. A golden rule in my life is if the success of something is 110% dependent on functioning technology, be cautious. This isn’t pessimism, people, it is reality. Enrolling enough people. The White House wants to enroll 7 million people by the end of March 2014. About 2 million have enrolled. Based on the interest people have in obtaining health insurance, I think this is a reachable goal. But it will take a lot of website functionality and work. Payment of premiums. To get coverage with ObamaCare insurance options, the individual has to pay their premium. Many people that are signing up for ObamaCare insurance have never had insurance and a premium might be a new (and scary) concept. Not many people are discussing this point, so maybe I am worried over nothing. In full disclosure, I work at a Federally Qualified Health Center and am in this thing everyday with patients. Formal proof of insurance from insurance companies. The process of signing up for insurance has a lot of moving parts - the human needs to correctly determine income and correctly fill out the online application for the insurance marketplace, the insurance marketplace has to do some sort of fancy identity check, the marketplace has to talk to the insurance company, and the insurance company has to contact the human. In 2014, we will hear both success stories and horror stories. Will insurance = Health? We will have to wait much longer than 2014 to answer this but it is the huge question. Will Insurance improve health? Insurance alone certainly does not save money nationally or improve individual health. Obtaining an insurance policy is only a small part of overall well-being. As you can see, 2013 was a big year for ObamaCare but 2014 will be even bigger.